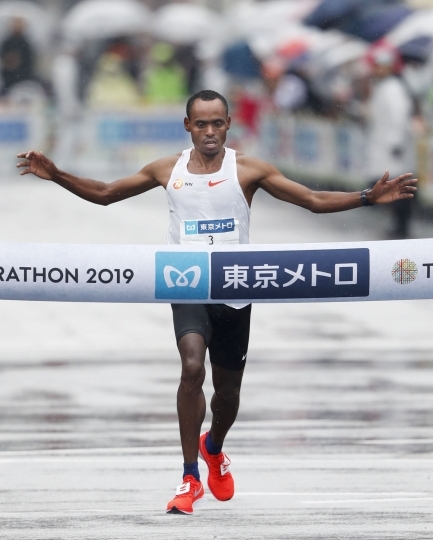 TOKYO — Ethiopia's Birhanu Legese won the rain-hit Tokyo Marathon on Sunday, denying defending champion Dickson Chumba of Kenya a third consecutive title. Legese clocked a time of 2 hours, 4 minutes and 48 seconds to finish comfortably ahead of Kenyan Bedan Karoki (2:06:48). Chumba, who was aiming to become the first back-to-back champion and three-time winner following his victories in 2014 and 2018, finished third. 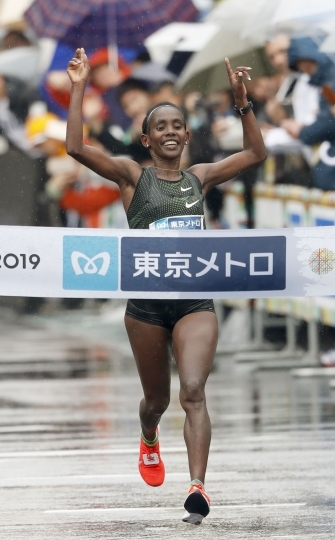 Ethiopia's Ruti Aga, who finished second in Tokyo last year, won the women's title, clocking 2:20:40 to beat compatriot Helen Tola by 21 seconds. Ethiopians have now won the women's marathon in Tokyo in six of the last eight editions.